Simple, universal and effective, retractable dock shelters offer a general purpose seal to cater for most applications. 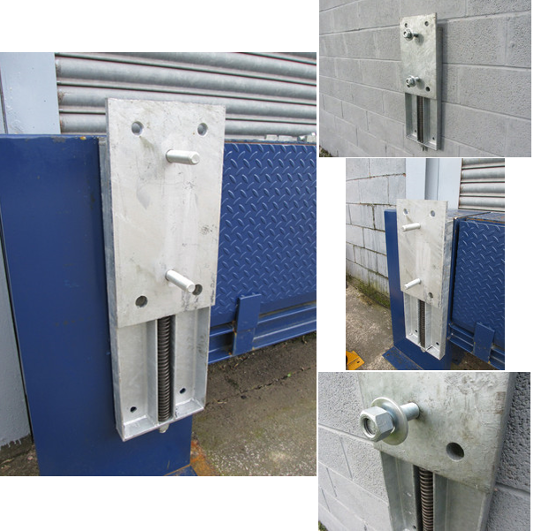 Designed to recoil on impact to extend the shelter life, dock shelters are available in dock mounted, ground mounted and adjustable head models. Adjustable Head Curtains are also available to extend the usable range and enabling a wider variety of vehicles to be effectively sealed to the loading area. 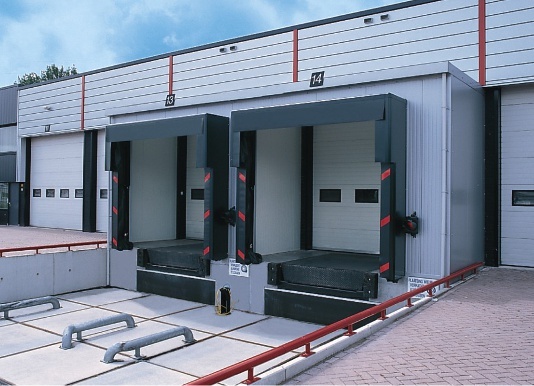 The dock seal is a cost effective answer to sealing the rear of a vehicle to a loading bay, thereby protecting the conditions inside the building from adverse conditions outside. The side seals may be of a square cross section or tapered in order to reduce the clear opening width. Inflatable dock shelters provide you with the ultimate level of insulation between the external environment and your factory or warehouse. 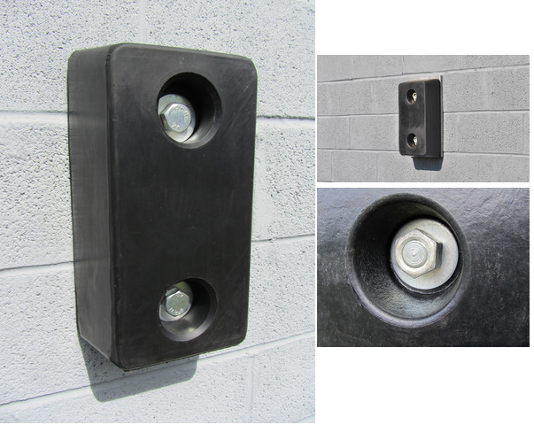 A popular standard rubber dock bumper designed to protect a loading dock from reversing HGV’s. 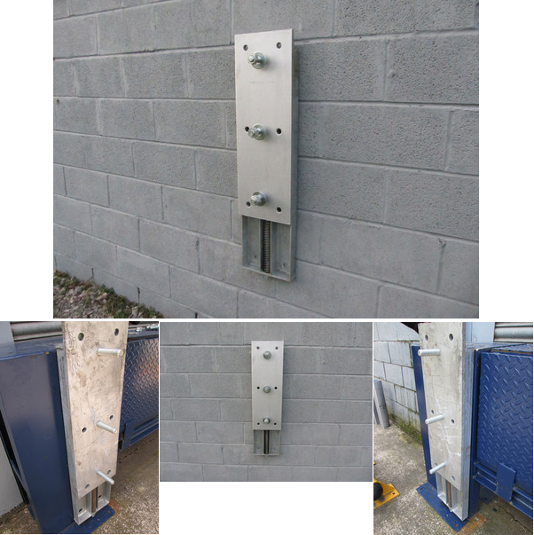 It can be attached using a back plate and its life can be extended greatly if installed with a front plate. 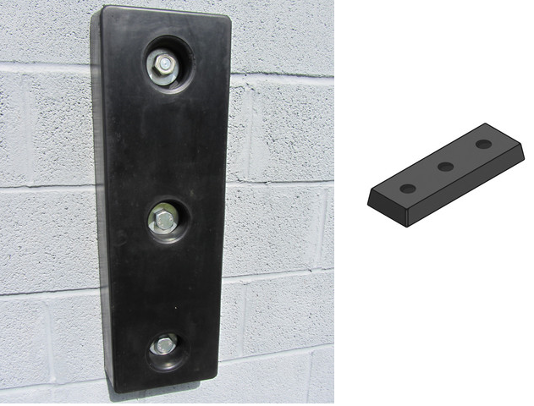 750mm dock bumpers prevent HGV’s under-riding the bumper and ripping it off the wall. If they are installed with a bracket it is possible to prevent the delivery vehicle from over-riding as well. 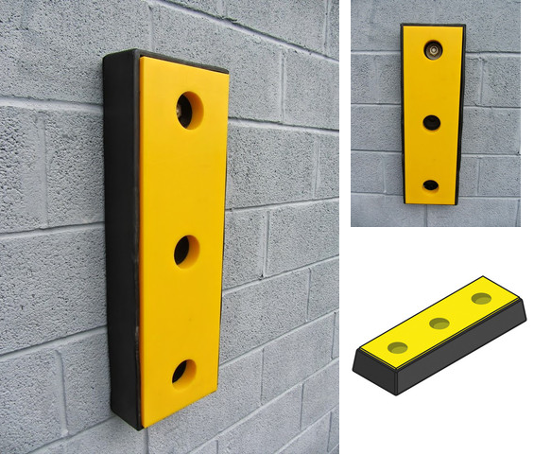 The A019 Dock Bumper is similar in many respects to the standard 450mm rubber dock bumper in terms of capability. This model however has a low friction co-efficient front plate made from 40mm thick ultra-high-molecular-weight-polyethylene. 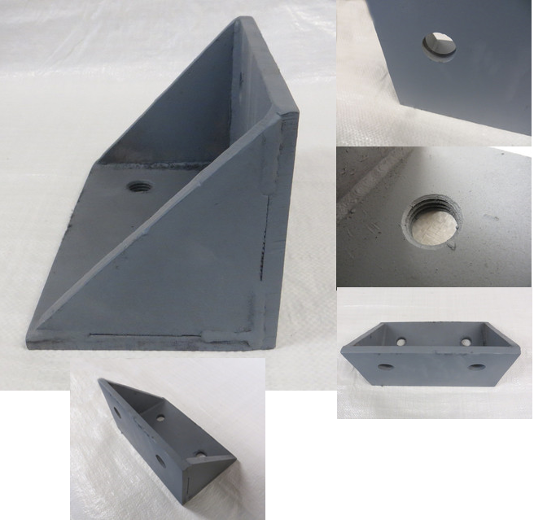 This angle bracket allows standard back plate and dock bumper assemblies to be fixed 150mm above the dock height to prevent vehicles over-riding. 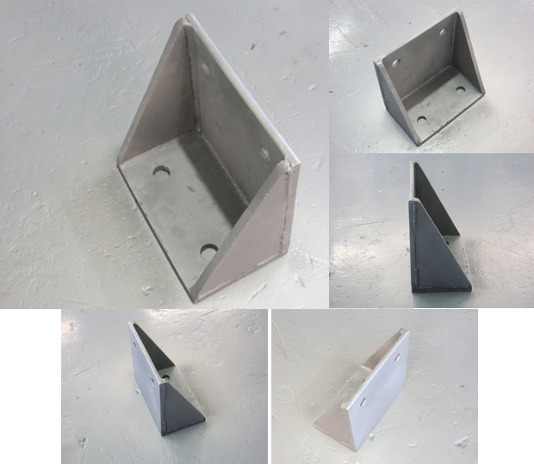 Brackets are finished in either red oxide or grey primer. Two fixing holes are M24 threaded and two are 26mm dia clear holes. 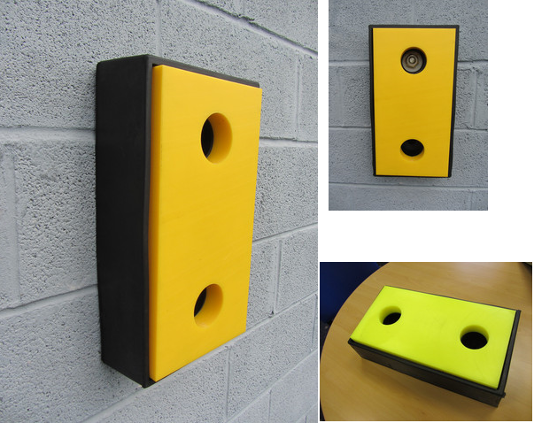 This pair of bolt down wheel guides are galvanized and yellow powder coated. 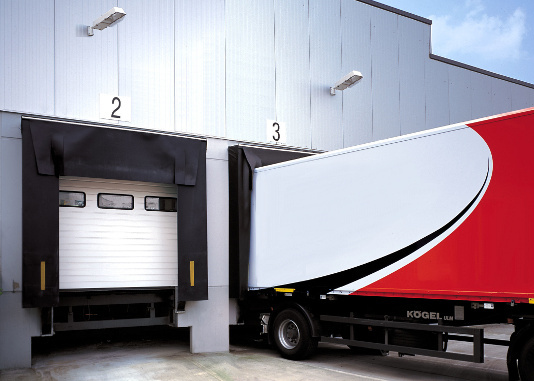 Their 5mm thick wall thickness makes them a very durable driver aid ensuring that trailers contact the loading dock squarely. 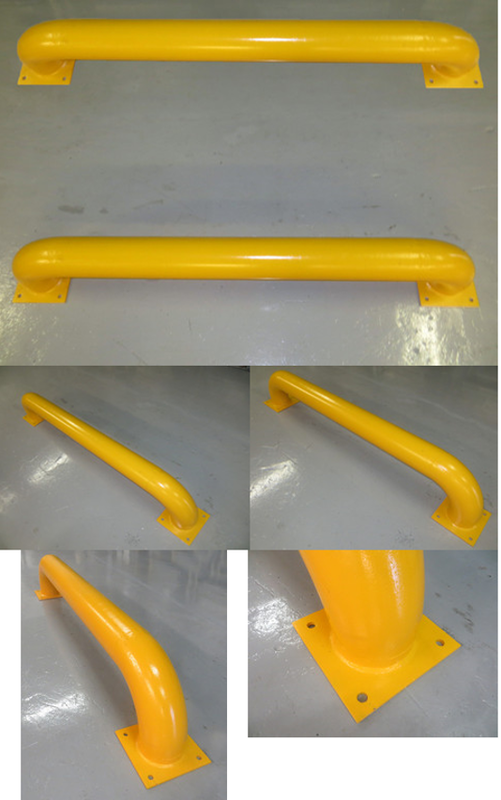 The outside diameter of the steel tube is 165mm.